Ao Salad Pier is the foremost gate to the island of Koh Kood. 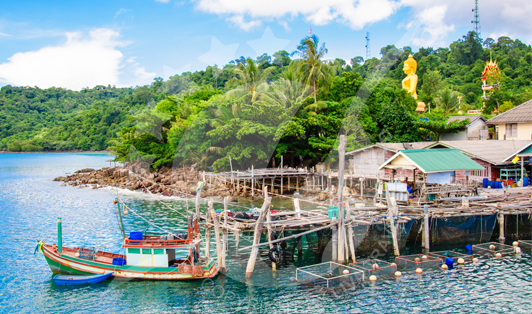 Koh Kood is near Trat which means that you can get to Ao Salad Pier from Bangkok or Pattaya through Trat. The pier has many boat services running throughout the day transporting passengers to and from many destinations including Koh Chang, Trat and Koh Mak. The pier is equipped with all the necessary means to provide you with a good and safe trip.